An inspiring memoir about an unruly Labrador who taught a woman and her father to overcome their grief and find peace with each other. When Mel Miskimen's mother dies, her tough, retired-cop father withdraws into his sadness, and his broken grief is more than Mel can handle on her own. Enter Seamus: a rowdy, hapless Labrador devoted to chaos. In a spark of inspiration, Mel ropes her father into training the wayward hound for a local contest. As the seasons change, Mel finds herself connecting with her last surviving parent more than she'd ever dreamed. The unexpected result of their endeavor might just heal them all. 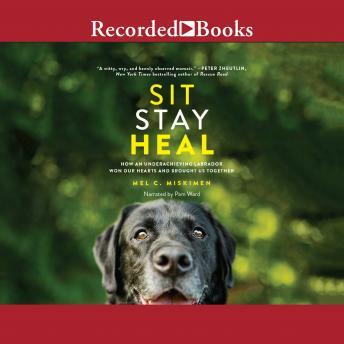 Sit Stay Heal will warm the hearts and tickles the funny bones of dog lovers and anyone seeking a way to connect with those they've lost.